As desert dwellers here at DID, we have a serious romantic fascination with winter destination weddings! There’s just something so romantic about a snowy backdrop for your “I do’s.” So, to kick-off our Destination: X series for 2018, we’re highlighting all things winter destination wedding related! First-things-first, we’re sharing our Top 10 Winter Wedding Destinations. All of the following locations have been visited and researched firsthand by our traveling editors and contributing writers, so you can rest assured they won’t disappoint come W-day. Without further ado, here are our top picks, in no particular order. Our neighbor to the north has plenty to offer in the way of weddings and this ski-lover’s haven is no exception. Whistler is an iconic ski destination and for good reason – its ski resort is pedestrian friendly, offers lots of accommodation options and has immense beauty to boot. Some of our favorite properties include Nita Lake Lodge and the Fairmont Chateau Whistler. For more information about Whistler, British Columbia visit whistler.com. One of our all-time favorite domestic destinations, Montana, should be considered a year-round option. 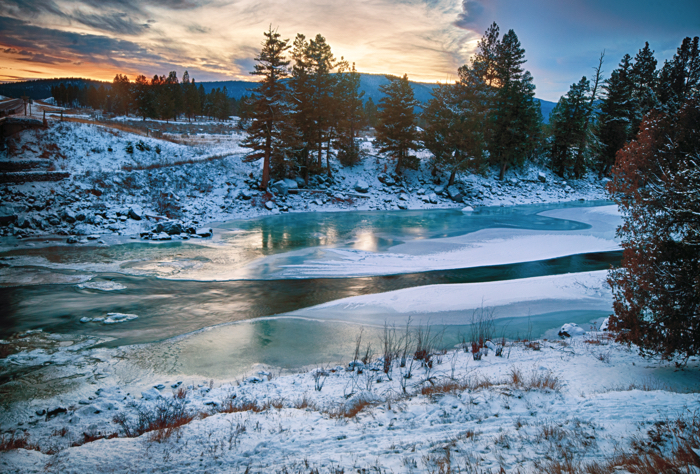 While known for its summer fly-fishing and white water rafting adventures, this untarnished gem is also a delight during the winter months. Cozy up next to a roaring fire with your honey on an all-inclusive dude ranch to simplify the logistics of hosting an event away from home. Some of our favorites include The Ranch at Rock Creek, The Resort at Paws Up and Big Sky Resort. For more information about Montana, visit mt.gov or visitmt.com. The City of Love arguably belongs on any Top 10 list for destination weddings and winter destination weddings are no exception. I can say from firsthand experience that there are few things more romantic than exploring the City of Light during a snowfall. Plus, you can kick your fashion statements into overhaul with cute, Parisian cold weather accessories. Some of our favorite properties include the Hôtel Plaza Athénée, Le Bristol Paris, Shangri-La Hotel Paris, Sofitel Paris Arc de Triomphe and Mandarin Oriental Paris. For more information about Paris, visit parisinfo.com. Aspen: A favorite among the rich and famous, Aspen isn’t just for socialites. Like most of Colorado, Aspen started as a mining town and has humble roots and rich traditions. Some of the hot spots that pull at our heartstrings include The Little Nell, St. Regis Aspen Resort and Aspen Meadows Resort. For more information and Aspen and saying your “I do’s,” visit aspenchamber.org/weddings. Vail: If it’s a European ski town vibe you’re after, Vail would make a great domestic alternative! This charming city thrives in the winter months and has made a name for itself as one of the top winter destinations in the state. Some of our favorites include The Sebastian Vail, The Lodge at Vail, Four Seasons Resorts and Residences Vail and The Arrabelle at Vail Square. For more information on Vail, visit vail.com. 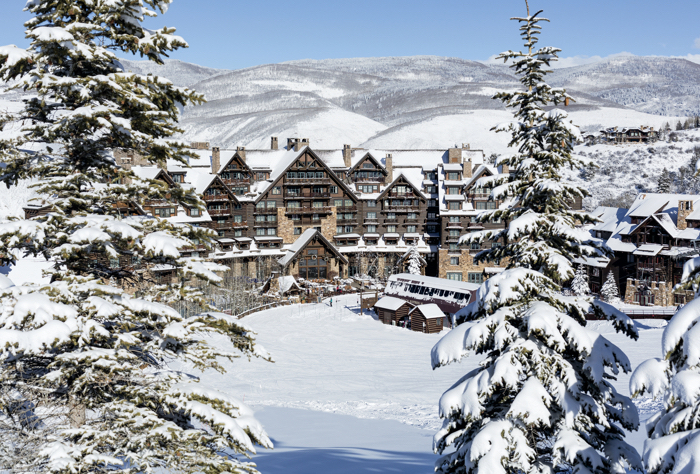 Beaver Creek: Equally as luxurious as Aspen or Vail, is the area of Beaver Creek and Bachelor Gulch. Both areas carry the small town feel and exclusive vibe, but without the bigger crowds. Some of our favorites include The Beaver Creek Lodge, The Ritz-Carlton, Bachelor Gulch, The Osprey at Beaver Creek and SaddleRidge. For more information on Beaver Creek, visit beavercreek.com. Colorado Springs: Conveniently located just over an hour outside of Denver, Colorado Springs would make an excellent option for any destination wedding. The gem in this destination crown is The Broadmoor. Equally as impressive but on a smaller scale are Cloud Camp and The Ranch at Emerald Valley. For more information on Colorado Springs, visit visitcos.com. If getting back to Mother Nature is part of your winter destination wedding vision, you might consider Wyoming. Jackson Hole, specifically, is continually ranked as one of the top ski destinations in the U.S., but continues to fly under the radar. You and your guests will enjoy a charming, small-town vibe, good eats and comfy accommodations. Brush Creek Ranch is one example of a wedding-friendly venue that consistently receives rave reviews. As an added bonus, Yellowstone National Park is a must-visit for any travel-loving wedding guest. For more information about Wyoming, visit travelwyoming.com. Known for its friendly locals and breathtaking natural beauty, Utah and destinations like Salt Lake City are shoo-in’s for weddings. We’ve covered the state multiple times in the magazine and anyone who visits comes back with rave-reviews. Favorites include the Waldorf Astoria Park City and Montage Deer Valley. For more information on Utah, visit visitutah.com. Attention all après-ski bunnies! Ski traditionalists will argue that the Swiss Alps simply can't be beat. We're certainly fans of the scenery, uber luxe resorts and chic vibe that Switzerland has to offer. While a bit pricier, perhaps, than some of our other recommendations, Switzerland would make a magical winter backdrop for any winter destination wedding. 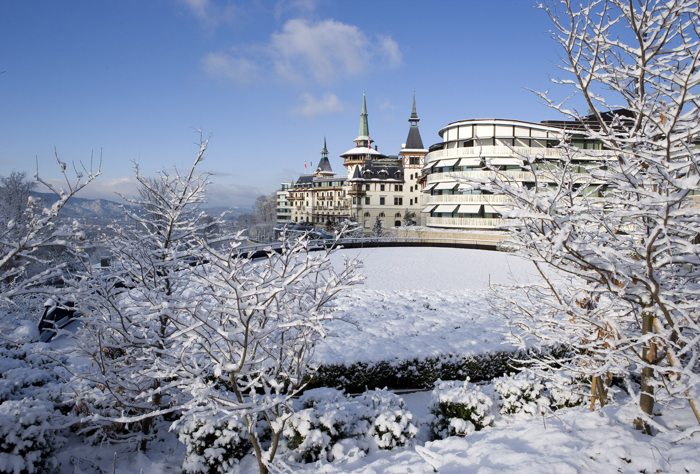 Some of our favorite properties include The Dolder Grand, Beau-Rivage Palace, Hotel Bella Tola and Hotel Chesa Valese. For more information about Switzerland, visit myswitzerland.com. It's no surprise to see New Mexico included on this list as it’s a great winter and ski destination that’s unexpected and delivers a healthy dose of culture, cuisine and outdoor activities. We have visited on behalf of the magazine quite a few times and it’s a well-rounded state with multiple destination wedding-friendly locations. Some properties close to our heart include the Four Seasons Rancho Encantado Santa Fe, Hilton Santa Fe Buffalo Thunder, Eldorado Hotel and Spa Santa Fe, Hotel St. Francis and Angel Fire Resort. For more information on New Mexico, visit newmexico.org. If anyone knows how to have a good time no matter the weather conditions, it’s the Irish! Personally, the thought of holing-up in an Irish castle with a hot toddy and a roaring fire sounds amazingly romantic. As an added bonus, traditional Irish properties have oodles and oodles of activities that cater to guests year-round – think shooting, falconry and horseback riding. Some of our favorite Irish abodes include Dromoland Castle, Ballyfin Demesne, Ashford Castle, Adare Manor, Castlemartyr Resort, The K Club and The Fitzwilliam Hotel. For more information about Ireland, visit ireland.com. The U.S. is a veritable pot of gold when it comes to varying landscapes and regional specialties. The North East is no exception and has a longstanding tradition of winter wonderlands. While famous for its fall foliage, Vermont is equally as charming during the winter months with sleigh rides and other historic traditions. For more information on Vermont, visit vermont.com. 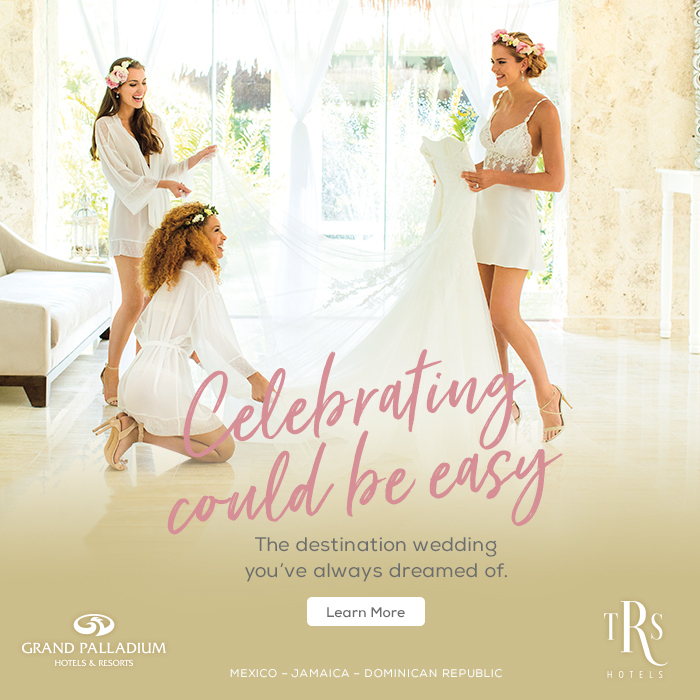 Stay tuned all week for helpful winter destination wedding resources, expert advice and tips for hosting a cold weather wedding, stunning real weddings, fashion inspiration and much more! Photos courtesy of (in order of appearance): The Ritz-Carlton, Bachelor Gulch; The Resort at Paws Up; The Dolder Grand; Fairmont Chateau Whistler; Oetker Collection's Le Bristol Paris; TravelWyoming.com; Waldorf Astoria Park City; NewMexico.org; Adare Manor & ManchesterVermont.com.